A review of the past helps to frame the future of poultry diagnostics. In the United States, the Land-Grant universities provided a fertile environment for faculty members in the early 20th century to apply the scientific method to poultry disease diagnosis. A natural affiliation and partnership of the USDA Bureau of Animal Industry and state departments of agriculture developed with these fledgling diagnostic programs. A mutual need existed for reagents and testing to support programs for tuberculosis, hog cholera, and brucellosis, among others. For poultry, this era marked the launch of the National Poultry Improvement Plan (NPIP) in the 1930’s to control Pullorum disease. The poultry diagnostic expertise in the Land-Grant universities led to the characterization of important poultry diseases in the years leading up to World War II: Newcastle disease, infectious bronchitis, mycoplasmosis, coccidiosis and others. The first printing of Diseases of Poultry appeared in 1943. Parallel to these activities was the formation of the United States Animal Health Association in 1897, from which was formed the American Association of Veterinary Laboratory Diagnosticians (AAVLD) in 1957, coinciding with the founding of the American Association of Avian Pathologists (AAAP) that same year. Through the 1960s and 70s, state and federal diagnostics were substantially moved from research laboratories into dedicated facilities. Their core mission was disease regulation, but general diagnostic services were provided for animal industries, including poultry. Private sector laboratories also were in operation during this time, some as technical service extensions of pharmaceutical and biological companies serving the poultry sector. The state and university diagnostic laboratories were also the first line of support for the emerging field of companion animal medicine. A natural tension often developed within this setting because of finite diagnostic resources need to cover regulatory programs, animal industries, and companion animals as well as public health, wildlife and various other added services and programs. This was accentuated by the common practice of offering free or reduced-cost diagnostic services for agriculture to increase passive surveillance for regulated diseases. In this competitive environment, the amount of resources dedicated to poultry, state-by-state, was often contingent upon poultry producers who could leverage the largesse of university administrators and state agricultural authorities. Animal disease emergencies (Pullorum disease, chronic respiratory disease, tuberculosis, Newcastle disease, influenza, chronic wasting disease, concerns of agroterrorism) often provided the stimuli for renewed investment in diagnostic services for the animal industries. Poultry diagnostics today is spread across multiple organizational structures. Necropsy examination and much specimen collection occurs on the farm. 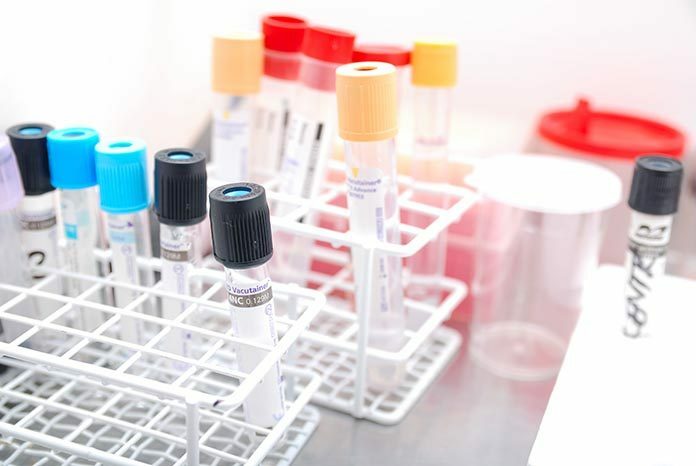 The most comprehensive diagnostic capabilities reside in state and university-affiliated laboratories in various administrative configurations. These labs refer cases to National Veterinary Services Laboratory (NVSL) as needed, and serve as nodes on the National Animal Health Laboratory Network (NAHLN). Government and university research laboratories provide diagnostics that are more narrowly defined and reflect the lab mission or the interests of the investigator. Private sector poultry diagnostics variously provide microbiology, serology, pathology and toxicology services. 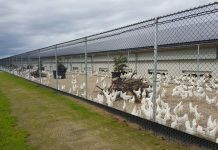 Poultry production company laboratories provide quality assurance testing of incoming feed ingredients, NPIP testing, and support of the processing plant, among other services. Advances in poultry diagnostics stem chiefly from academic and corporate research laboratories, and from diagnostic laboratories. Quality system implementation has permeated poultry diagnostics in recent decades through AAVLD laboratory accreditation, membership in the NAHLN, and corporate quality programs, all based on standards defined by the International Organization for Standardization (ISO). This trend is sure to continue because it promotes trust among diagnosticians, producers, customers, and regulators worldwide. A traditional diagnostic investigation is a response to problem, be it mortality, impaired production parameters, or a spike in losses at processing. The occurrence of a single disease such as influenza or a novel viral neoplasia can be highly significant. More often, the problem is multifactorial. 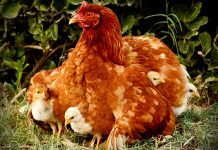 A diagnosis of coccidiosis is useful, but for commercial poultry, there may be contributing diseases (enteritis, immunosuppression), or factors other than disease (litter mismanagement, drug resistance and coccidia vaccination errors), that serve to promote the coccidiosis problem. Thus, poultry diagnostics requires not just a knowledge of a disease process but an understanding of the poultry production system. Excluding regulatory tests that require a positive or negative result, poultry diagnostics requires identification of the presenting disease and the contributing diseases, and formulating a collective pathogenesis as the basis of control and prevention. It depends on the experience of the diagnostician to rank the duration and severity of each component. A challenge in poultry diagnostics is first, for the right information to be generated and second, delivered to the right person. The weakness becomes evident when the diagnostician is unable to investigate deeply enough because of technical, economic, or intellectual restraints. Conversely, the recipient of diagnostic information may be unable to understand the interrelationships or to take corrective action. Traditional diagnostics can be repetitive, with many similar cases submitted and investigated, and resources utilized to arrive at the same endpoint. The lower the fee for service, the more likely this is to occur. The captured data however remains valuable if uniformly recorded and analyzed for epidemiological trends. Another way to investigate disease interactions is to integrate diagnostics with production. This model is based on methods used in toxicological pathology, which uses laboratory animals of identical genetics raised with uniform housing and nutrition, thus comprising a homogenous population that is sampled at defined ages to assess treatment effects. This model closely resembles integrated commercial poultry production. The poultry population (complex, farm, or house) can be sequentially sampled over time for lesion identification and quantitative (measurements, counts) and semiquantitative (lesion scores) characterization (Figure 1). It identifies the age of onset for collection of samples for etiologic agent detection, and thereby guides mitigation. It opens the process to better understanding of subclinical factors contributing to poor uniformity, at-risk subpopulations, and erosion of genetic potential and welfare. The numerical data, properly analyzed, provides visual representation that invites input from the perspective of health, nutrition, and management. It lends to comparative analysis over time because it is subject to quality management procedures for assessment. Integrated poultry diagnostics can begin with on-site data collection of necropsy findings, supported by analytical software (Elanco Health Tracking System™, Indianapolis, IN; VDP PathPro©, Fort Valley, VA). This can be supplemented with a wide range of analyses. Quantitative and semiquantitative histopathology provides understanding of lesion definition, development, and impact. Sample collection for serology and infectious or toxicological agent characterization yields data to correlate with lesion development, with defined age of onset and severity. Production-integrated diagnostics adds value to the decision-making process. Production-integrated pathology can help define the relationship of the gut biome to anatomical development and pathological degradation of the gut mucosa. It can define the sequence of immunosuppressive diseases and their interactions through analysis of multiple systems at different ages. Integrated pathology can be applied to critical events in skeletal development, as well as provide correlates for wellness examinations involving footpad quality and gait assessment. 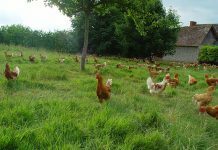 In mature poultry, it has found application in mortality surveys and reproductive assessment at various ages. The ongoing reduction in antibiotic usage and the emergence of the nutraceuticals (direct fed microbials, pre- and postbiotics, fermentation products, botanical extracts) create a challenge for bacterial diagnostics. To a considerable extent, nutraceuticals are in development as substitutes to achieve the health benefits derived by antibiotics. Antibiotics have defined absorption, distribution, and excretion patterns and specific modes of action. Bacterial isolates are routinely tested for antibiotic sensitivity to guide judicious usage and successful therapy. From a regulatory perspective, nutraceuticals in general are on the FDA Generally Recognized as Safe (GRAS) list. 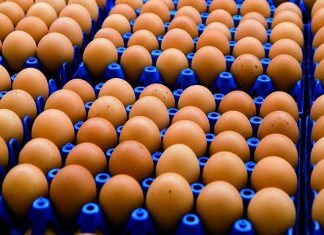 Although some have data for in vitro activity against poultry pathogens, claims of treatment efficacy are purposely absent, as opposed to regulated antibiotics. Trial data replaces registered claims in demonstrating comparable effects to antibiotics or antibiotic-drug combinations. Compared to antibiotics, the mechanisms of action and interactions of the bioactive components, their distribution and spectrum of activity may have minimal to extensive characterization. The nutraceuticals are coming onto the poultry market at the same time as high-throughput sequencing and metagenomic analysis of the gut microbiome are becoming mainstream in poultry research laboratories. An inherent issue with nutraceuticals is the consistency of beneficial results in the production environment. Diagnostic laboratories may have a role in refining the process. Suppression of Clostridium perfringens, Salmonella and Campylobacter is a desired outcome, as well as counteracting dysbacteriosis through modulating and maintaining a healthy balance of gut bacterial for optimum production efficiency. The bacterial populations are assessed by metagenomic analysis rather than traditional culture methods. This will require an expansion of capability for traditional bacteriology laboratories. Many of the botanical extracts show inhibitory effects in vitro, but standardized testing as applied to antibiotic sensitivity is less understood. The digestive tract is the logical first application; however, substantial new information would be needed to assess therapeutic possibilities for septicemia and deep tissue infections. The gut microbiome is now generally recognized to include viruses, and high-throughput sequencing has shown that more are present than previously recognized. This confirms diagnostic detection of multiple viruses in cases of viral enteritis, including astrovirus, rotavirus, reovirus, parvovirus. Other viruses become apparent with metagenomic analysis, such as picornaviruses and bacteriophages. While the concept of one virus acting as a primary pathogen remains valid, the respective identities, tissue loads, and interactive virulence of these viruses as enteric pathogens will continue as an emerging story. Certain bacterial and viral taxa show the ability to shift together in dominance within the microbiota. Effacement of the gut mucosa caused by parasites and toxins further affect the balance of the microbiota, the manner of which is just now being revealed. 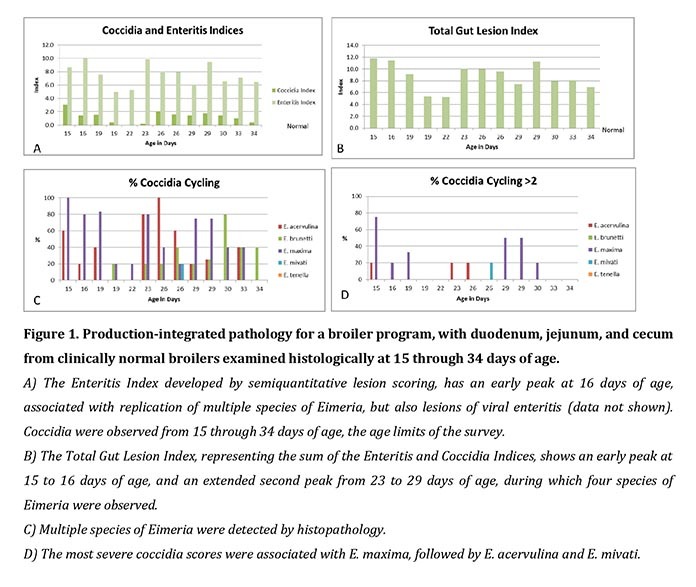 The microbiomes of poultry skin (carcass rinse), and respiratory, urogenital, and skeletal systems invite research investigation and diagnostic applications, and can be anticipated to find a place in the poultry diagnostic lexicon. In addition to traditional state and university-based diagnostic laboratories, there are opportunities to provide diagnostic services through an emerging private sector. While poultry consultants have long played a role in poultry health, privately-owned, independent diagnostic service providers create additional options for those needing services, as well as those seeking careers n diagnostics. The advantages of the private sector diagnostics are rapid, flexible approaches to project beyond that possible in a traditional diagnostic setting. Some disadvantages are a work environment more distant from academic resources and collegial interaction, the need to outsource services, and working without the operational infrastructure typically found in state and university laboratories. Two keys to a successful career in poultry diagnostics are sound knowledge and skills in a diagnostic discipline, and the ability to merge this with an understanding of integrated poultry production. The core development of these future diagnosticians resides in student programs supported by the AAAP Foundation, support for graduate student research training, and postgraduate training programs and residencies, such as those recognized by the American College of Poultry Veterinarians. The critical test for the future of poultry diagnostics is the addition of value to production efficiency, poultry welfare, and food safety. Within this framework, technology will continue to advance but the value will depend on successful application to mechanisms of disease and to efficient and humane poultry production. Quality system principles and practices will be integral to trustworthy communication and collaboration among diagnosticians and animal health regulators, and facilitation of domestic and global movement of healthy poultry and wholesome poultry products. Acknowledgement: The Author thanks John McCarty, Luis Gomez, Joan Schrader, Floyd Wilson, Joel Cline and Marty Hoerr for contributions to, and ongoing support of, production-integrated pathology.